Scholarships transform lives. Even with competitive tuition rates, it still can be challenging for many students and families to pay for college. We’re committed to increasing access to higher education through scholarships, and we have proven programs in place to help students succeed and earn degrees. 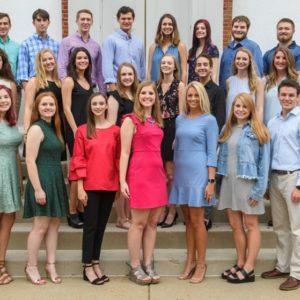 Begun as a campus-wide initiative during the tenure of Chancellor Robert Khayat, the Ole Miss First Scholarship Program provides mentoring and leadership development in conjunction with tuition assistance for deserving students. 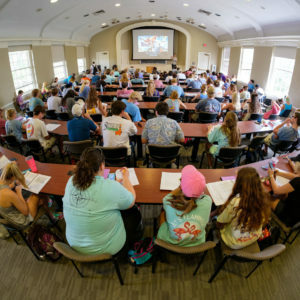 Each Ole Miss First Scholarship is based on a pledge of $5,000 per year for five years, for a total of $25,000, to cover eight semesters of tuition for an undergraduate student. Scholarship endowments can be created at the $125,000 level and will be awarded in perpetuity. View the Ole Miss First website. Today, more than ever, a college education is essential in developing a career and earning a good living. Yet an increasing number of potential students are from low-income families; Mississippi has the largest percentage of low-income people in the nation. Thus, the very people who could most benefit from a secondary education are the least likely to be able to afford it. 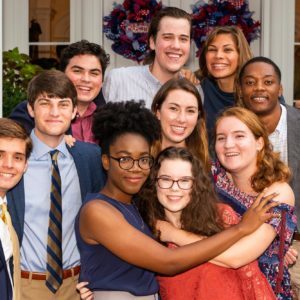 Created during the tenure of Chancellor Dan Jones in response to a tuition increase mandated by the Institutions of Higher Learning, Ole Miss Opportunity guarantees financial aid support for lower-income Mississippians for tuition, housing, and meals. The Women’s Council is scholarship-mentorship program that recognizes the emerging financial power of women in philanthropy, as well as their unique abilities to lead and mentor. 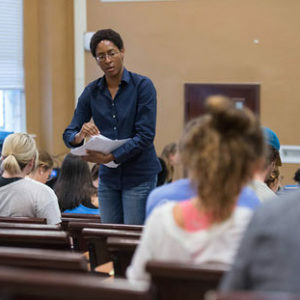 Women’s Council scholarships are often named in honor or memory of a woman who personifies its spirit of both leadership and giving, but they can be named at the donor’s discretion. Grove scholarships support students pursuing careers in science, technology, engineering and math (STEM) or health-related fields. The program blends academic excellence with career exploration, research experience, and the promotion of personal growth and comradery among students. 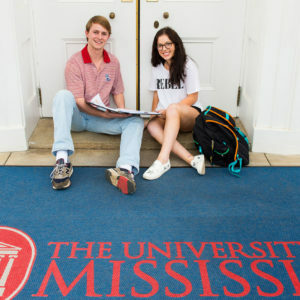 Help students with outstanding GPAs and ACT scores reach their full potential at the University of Mississippi. Funding merit-based scholarships helps attract the best and the brightest to Ole Miss and elevates our academic reputation. 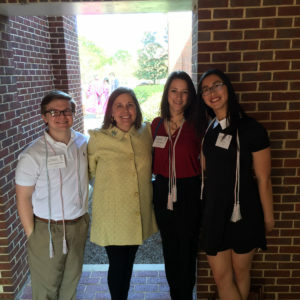 We are proud to award scholarships to high-achieving students. The University of Mississippi has the highest enrollment of any university in the state. The size of our student body has increased by approximately 60 percent over the past decade. Happening in tandem with our growth is a decrease in state support, which now stands at only 12.4 percent. With the help of generous support from alumni and friends, we remain committed to providing stellar educational opportunities for all students who wish to attend college. No matter where they’re from, many of our students and families struggle to pay for college. While we have programs in place dedicated to helping Mississippi residents, our student body comes from all 50 states and many foreign countries. Donors often wish to assist students who come from their hometowns or high school alma mater, or they may choose the geographical area that they’ve settled in for their adult home and career.